Before the British took over the New Territories in July, 1898 there were no roads but an extensive network of footpaths paths or Chinese Roads across the territory. These paths provided connections between the villages and to the sea shore for marine transport. 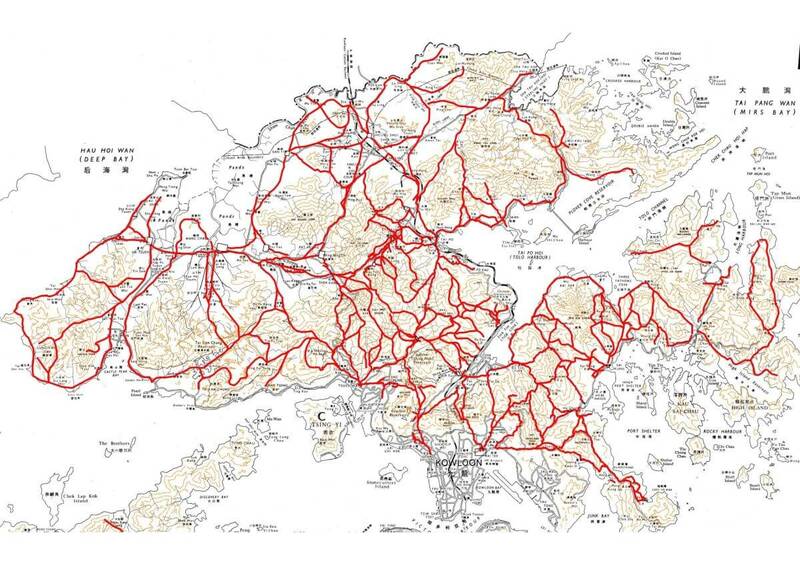 The first topographical map of the New Territories, published in 1904 describes the paths as “Chinese roads about 4′-0″ wide“. 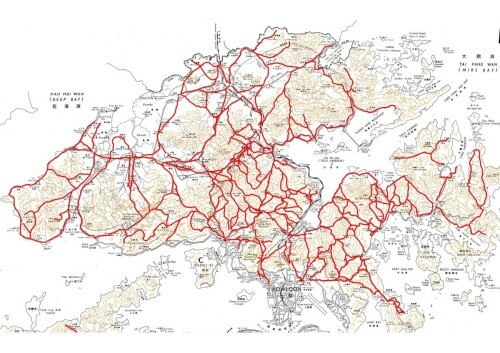 Based on the “8 inches to the one mile” maps of 1904 and the “2 inches to the one mile” maps of 1915 it is possible to re-establish the network on modern mapping. The image below (click to make larger) indicates in red the main paths; a total of around 12,200 km of path. Sections of these paths can still be found today when visiting the more remote areas of the New Territories.